John McTasney was born on February 6, 1941, in Odebolt, Iowa. He entered the U.S. Air Force Academy in June 1959, and graduated with a commission as a 2d Lt on June 5, 1963. Lt McTasney next completed Undergraduate Pilot Training, earning his pilot wings at Reese AFB, Texas, in September 1964, followed by Survival Training, Helicopter Pilot Training, and helicopter instructor pilot training at Stead AFB, Nevada, from October 1964 to July 1965. He then served as a UH-19 Chickasaw instructor pilot at Stead AFB from July to December 1965, and then at Sheppard AFB, Texas, from December 1965 to June 1967. After completing HH-3E Jolly Green Giant Combat Crew Training, Capt McTasney deployed to Southeast Asia in August 1967, where he served with the 37th Aerospace Rescue and Recovery Squadron (ARRS) at Da Nang AB, South Vietnam, until returning to the U.S. in June 1968. He next completed an Air Force Institute of Technology assignment to Rensselaer Polytechnic Institute in Troy, New York, to complete his Master's Degree from July 1968 to July 1969, and he then served as an English Instructor at the U.S. Air Force Academy from August 1969 to October 1972. His next assignment was as a legislative liaison at Headquarters U.S. Air Force in the Pentagon from October 1972 to December 1975, followed by Air Command and Staff College at Maxwell AFB, Alabama, from December 1975 to July 1976. 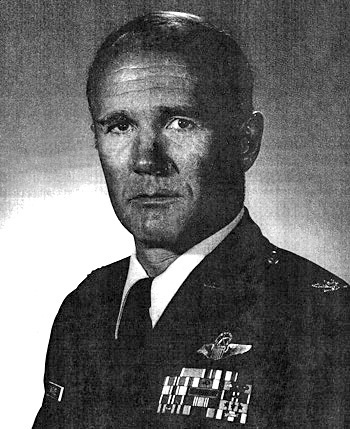 Maj McTasney served as commander of Detachment 15 of the 39th Aerospace Rescue and Recovery Wing (ARRW) at Patrick AFB, Florida, from July 1976 to August 1978, and then served as operations officer and instructor pilot with Detachment 14 of the 67th ARRS at Keflavik NS, Iceland, from September 1978 to September 1979. Col McTasney then served another tour with the Office of Legislative Liaison in the Pentagon from September 1979 to July 1984, followed by service with the 41st ARRW at McClellan AFB, California, from July 1984 to June 1986. 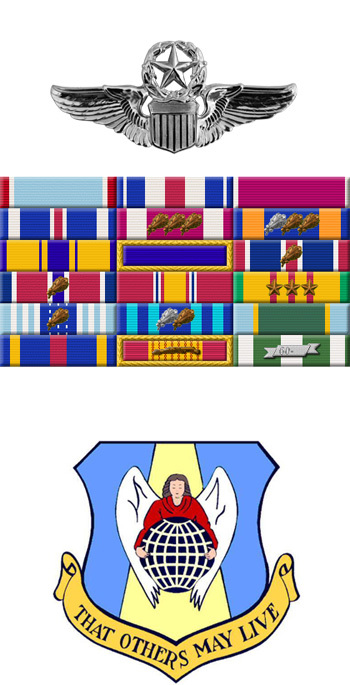 He served as chief of the Base Support Division in the Office of the Inspector General with Headquarters Military Airlift Command at Scott AFB, Illinois, from June 1986 to July 1988, and then served as commander of the Air Force ROTC detachment at Kansas State University from July 1988 until his retirement from the Air Force on August 1, 1991. Captain John B. McTasney distinguished himself by extraordinary heroism in connection with military operations against an opposing armed force as Rescue Crew Commander of an HH-3E helicopter in Southeast Asia on 8 November 1967. On that date, after two helicopters had been shot down in rescue attempts, Captain McTasney attempted a night recovery of surrounded ground forces. With complete disregard for his personal safety, Captain McTasney established a hover on a steep slope while under intense hostile fire. He maintained this position and picked up three survivors before hostile fire severely damaged his helicopter, making it imperative that he depart the area. Captain Mctasney, demonstrating a high degree of professional skill, proceeded to a forward base and landed safely despite the loss of one engine during descent. Through his extraordinary heroism, superb airmanship, and aggressiveness, Captain McTasney reflected the highest credit upon himself and the United States Air Force.